Montréal trumpeter Ellwood Epps and guitarist Vicky Mettler are guest artists for a ten-day residency with Vancouver improvising musicians. Their various interfaces about town culminate with a performance at the Roundhouse Community Centre for New Orchestra Workshop Society’s 40th Anniversary Celebration on November 16, 2017. Ellwood Epps and Vicky Mettler (Montréal) present a concert of improvised music with Vancouver Master improvisers. Epps and Mettler are joined by a large cast of Vancouver improvisers to play on affinities between musique actuelle and west coast improvisation. Presented with Suoni Per Il Popolo, Coastal Jazz, Music on Main, and NOW Society. Catch Vicky Mettler and Ellwood Epps play around town! Vicky Mettler is a guitarist based in Montreal. Her current projects include a song duo Brick with Raphaël Foisy-Couture and a noise/improv quartet Dusk Scored Dark, with Mark Molnar, Bennet Beduokian and Craig Pedersen, as well as her solo project for voice, guitar and electronics. 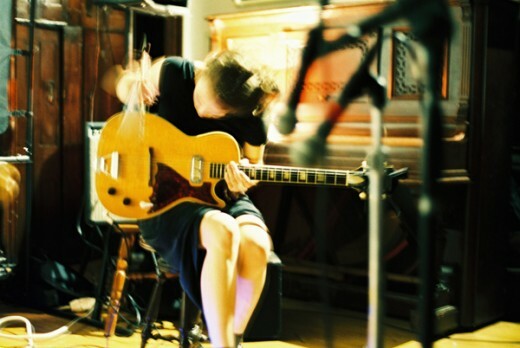 Upcoming releases include a tape with improv quartet featuring Anna Webber (US), Evan Tighe and Erik Hove as well as a debut solo guitar album. Born in Toronto in 1976, trumpeter Ellwood Epps arrived in Montreal in 2005. Since then he has performed with Josh Zubot, Nicolas Caloia, John Heward, Jean Derome, Marshall Allen, Henry Grimes, William Parker, Mat Maneri, Axel Dorner and John Butcher. In 2008 Epps cofounded the performance space l’Envers as well as the weekly cafe series Mardi Spaghetti; the following years saw an explosion of creative musical activity in Montreal. 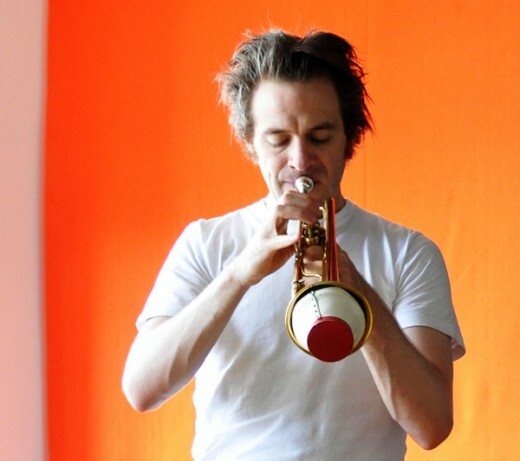 Epps is the director of the Festival of New Trumpet Music Canada and teaches a popular series of workshops through the Studio d’Improvisatin de Montreal. Ellwood Epps. Photo by Etienne Mangonaux. Vicky Mettler. Photo by Jacob Dejardins.